Medea, a princess of Colchis, a non-Greek region on the Black Sea, fell in love with Jason and employed her destructive magic powers to help him steal the Golden Fleece from her father. In the process, she killed her only brother and instigated the murder of Pelias, who had usurped Jasons throne. Euripides bends the myth of Medea to suit his dramatic purposes, much like Shakespeare does, says Blackwood. In the myth of Jasons bloody quest for the Golden Fleece, acts of violence and passion are seen as heroic. But Euripides debunks the myth. In this play, as in real life, murder is tragic, not heroic. Euripides imbues the character of Medea with an implacable will-to-power. She thirsts for revenge upon Jason who, in his desire for power, betrays her by marrying the daughter of the King of Corinth, Creon, who banishes Medea and her children from Corinth. Medea has a tenacious will to get what she wants, Blackwell goes on. Her single-minded determination was a characteristic associated with heroic men, not women. Women, the ancient Greeks believed, possessed wild and dangerous emotions. Medea embodies both these traits, male and female, a deadly combination. Famously murdering the sons she bore Jason, Medea takes her bloody revenge and acquires the power that was denied her at the start of the play. Medea (Beth Donohue), Jason (Jason Frazier), Creon (Louis Landman) and Nurse (Suzanne Voss) will perform on a large, raised circular stage designed by Mellie Katakalos, herself second-generation Greek. 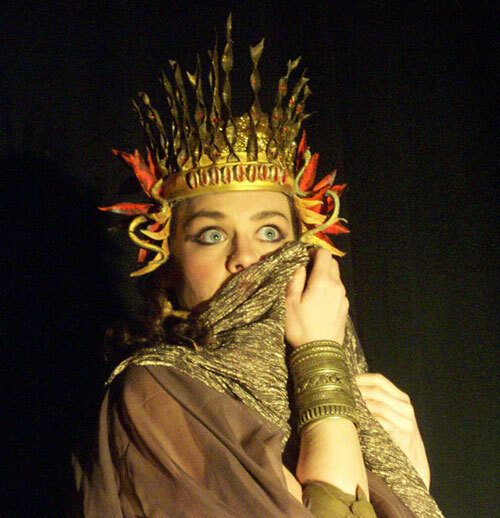 Costumes, by Keiko Shimosato, suggest the Art Nouveau style of Alphonse Mucha whose poster of Sarah Bernhard as Medea has become an icon of the role. 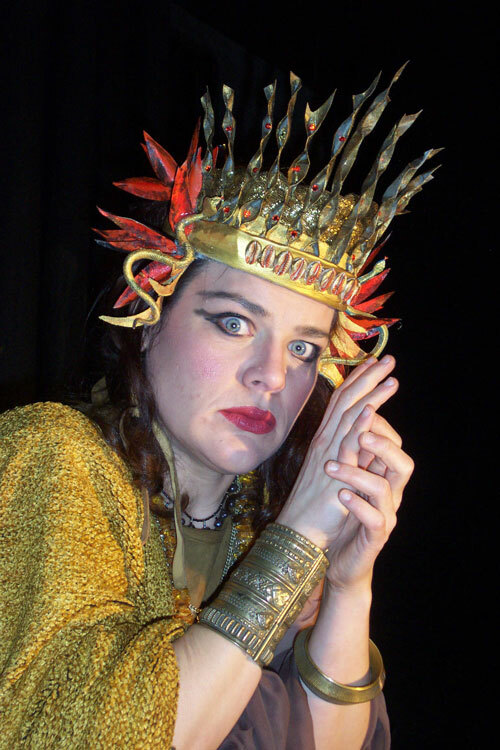 Medeas costumes and scenic design also refer to a pre-Grecian culture, a period of matriarchal rule. These design elements emphasize the outsider status of Medea, who was not born in Greece, and her atypical role as an active force in the play. the plays Chorus of Corinthian women and by Paula Arciniega on a pedal reed organ restored and donated by Jim Tyler, known as the Reed Organ Man in San Francisco. The organ will be located on the stage with Ms. Arciniega functioning as a character in the play and with the music underscoring the psychological states of the characters as they vie for control. In addition to the roles noted above, the cast includes Patrick Sieler (Ageus); Ty Blair, (Tutor); John Curtis (Slave); and Kenya Briggs, Bekka Fink and Nina Auslander as the Chorus. The design team includes Heather Basarab, lighting. This free adaptation by Robinson Jeffers was penned in 1947, placing the focus on the psychology of the characters as they act out their obsessions. In this adaptation the size of the chorus was reduced from 12 to three, and each of the chorus members has a personality and point of view. The Jeffers interpretation was first performed in London with Dame Judith Anderson as Medea and Sir John Gielgud as Jason. Director Russell Blackwood has been a producer and director for the San Francisco Shakespeare Festival and Berkeley Opera; with his own company, Thrillpeddlers, he produces the annual Shoctoberfest in San Francisco. His credits include Women Behind Bars at Theatre Rhinoceros; Mondo Andronicus at the San Francisco Fringe Festival (voted Best of the Fringe) and Clive Barkers Frankenstein in Love in its American premiere in San Francisco.